Craving something special for lunch? 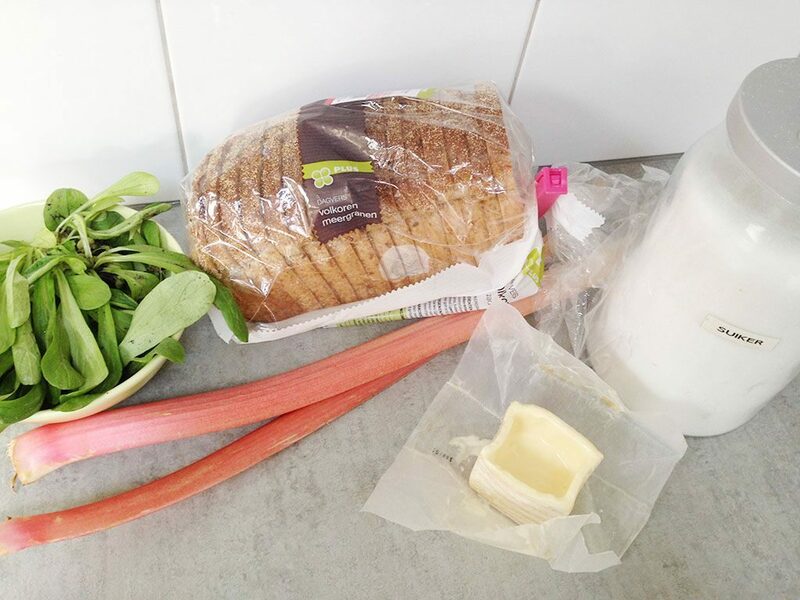 Combine rhubarb and cheese in a grilled rhubarb carre d'ambre sandwich and you will be amazed! RINSE and cut the rhubarb stems into pieces and place them in a ziplock bag. First marinate the rhubarb in sugar, so it will be less sour. The marinating time depends of the sourness of the rhubarb you’re using. The rhubarb we used only needed an hour. Meanwhile make sure your dandelion lettuce is well rinsed and dried using a salad spinner. 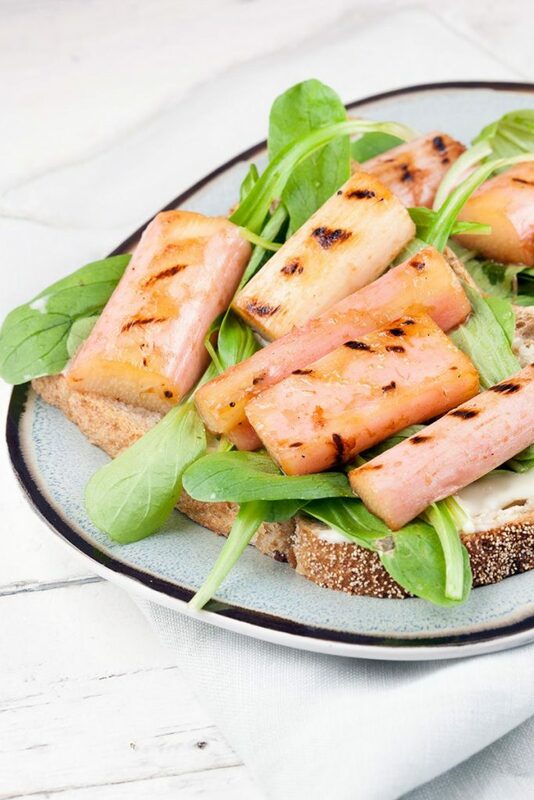 PREPARE the slices of bread with a layer of carre d’ambre cheese. 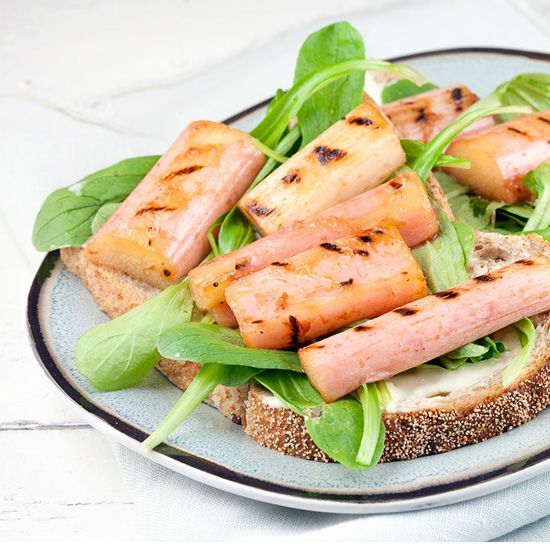 HEAT the grill pan to very hot and DIVIDE the dandelion lettuce over the bread slices. DRIZZLE the rhubarb pieces with a little bit of olive oil. GRILL them on both sides for about 3 minutes, or until the grilling pattern appears. 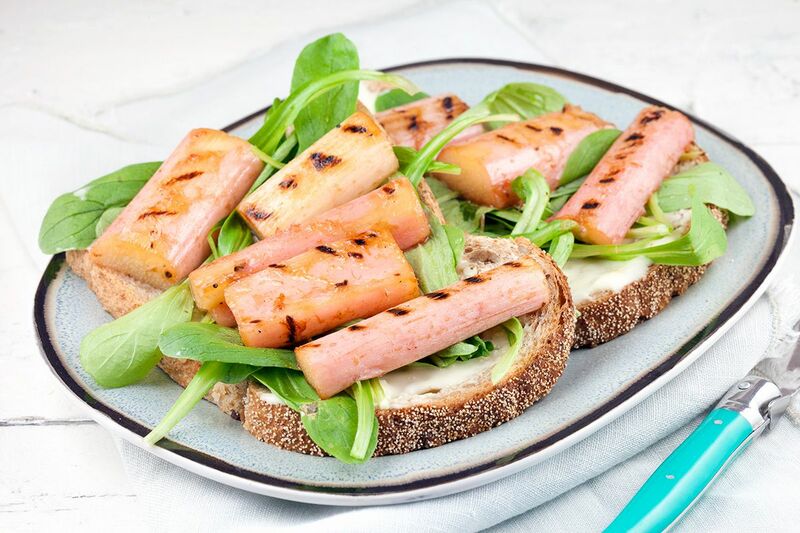 DIVIDE the grilled pieces of rhubarb over the slices of bread and enjoy!